The 9,000 seat America's Cup Pavillion, located on Piers 27/29 in San Francisco will be the venue for some amazing concerts this summer. The venue is super easy to get to using public transportation from the Colma BART station. Bart trains begin running this afternoon as union workers return by request of California's Labor Secretary. But, it's only a 30 day "cooling off" period and the strike could happen again 30 days from now. Both sides say they are still far apart in the negotiations. Besides relaxing and watching the ocean, one of the things a lot of people like to do while they are at Pillar Point RV Park is to go to San Francisco. Whether you want to see the sights or shop til you drop, taking BART is the best way in or out of the city. You won't have to deal with traffic or finding a very expensive parking space if you take public transportation. 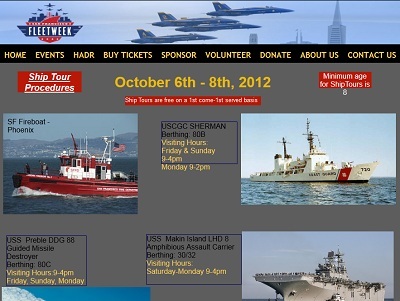 Pillar Point RV Park-Your Gateway to San Francisco-Fleet Week begins! If you want to tour all the fantastic attractions San Francisco has to offer, there is no easier way to do it than to stay at Pillar Point RV Park. You are just 20 minutes away from BART in San Francisco that will take you all over the city. 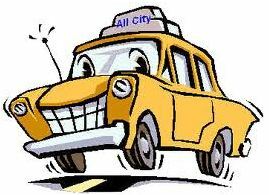 Easy parking at the BART station for your RV or tow car..then grab BART and don't worry about parking or the heavy traffic in the city..